Spider-Man is one of Marvel‘s biggest heroes, so Spider-Man: Homecoming was always going to spawn more sequels. Titled Spider-Man: Far From Home, the upcoming sequel sees Peter Parker go on a school trip to Europe. The first trailer arrived on Jan. 15, teasing the first of Marvel’s post-Avengers: Endgame movies. It has the same comedic tone as Homecoming, with plenty of screentime for Peter’s teen friends—and our first look at Jake Gyllenhaal as the classic Spider-Man villain Mysterio. Here’s everything we know so far about Spider-Man: Far From Home. You’ll be glad to hear that Homecoming director Jon Watts returned for the sequel. Chris McKenna and Erik Sommers wrote the screenplay, returning after their work on the first movie, which had six (six!) credited screenwriters. Tom Holland, Marissa Tomei, and Jacob Batalon will return as Peter Parker, Aunt May, and Peter’s BFF Ned Leeds. Zendaya reprises her role as Michelle/MJ, and the first trailer suggests that she and Peter may have a romantic subplot in this movie. We’ll also see more from Peter’s classmates Flash Thompson and Betty Brant, along with a new friend played by transgender actor Zach Barack – the first trans role in a major superhero franchise. Comedian J.B. Smoove, of Curb Your Enthusiasm fame, joined the cast in an undisclosed role according to the Hollywood Reporter. Samuel L. Jackson and Cobie Smulders return as the long-running Marvel characters Nick Fury and Maria Hill. Jake Gyllenhaal will play the villain, the classic Marvel character Mysterio. Variety also believes that Michael Keaton will reprise his role as the Vulture, although this could just be a cameo. Turkish-German actor Numan Acar (Prison Break) has joined the cast as a character named “Dimitri.” Could this be Dmitri Smerdyakov, the vintage Spider-Man villain Chameleon? Warning: This section includes spoilers for Avengers: Infinity War. Obviously, the full story is still under wraps. However, we do know that the film involves Peter Parker and his classmates going to Europe, and Peter teaming up with Nick Fury, possibly to go up against Mysterio. When Sony and Marvel first announced the new Spider-Man franchise, they indicated it would focus on Peter Parker’s teen years. Each movie takes place during a different part of the high school year. 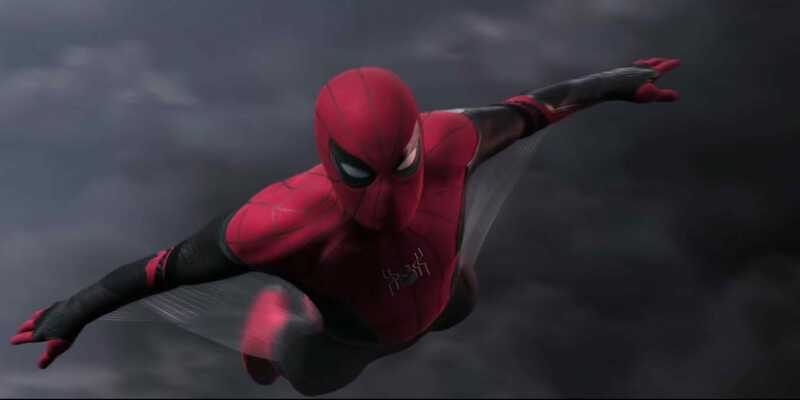 The MCU timeline can be a little hinky, but Spider-Man: Far From Home is thought to take place during Peter’s senior year. There’s a lot of speculation about Iron Man’s future, and that’s obviously relevant here. If Tony Stark dies, that will have a huge impact on Peter Parker. The first trailer, featured above, landed Jan. 15.